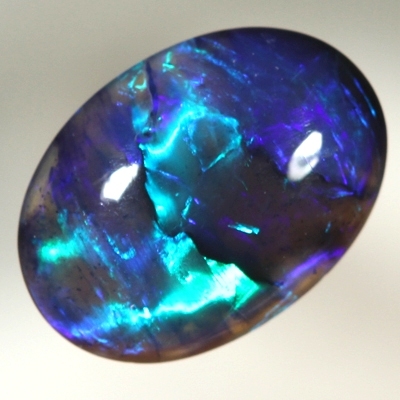 The opal shows very bright and strong fire sparkling across the face of the opal. Bright, crisp colours of emerald green, turquoise green, peacock blue and purple move constantly across the opal as it is rotated. This magnificent opal shows gorgeous and very vivid colour from all angles. Fantastic in all lights.